Digital commerce and payments company Paytm has invested an undisclosed amount in mobile loyalty and data analytics firm MobiQuest Mobile Technologies. The investment will help the SoftBank- and Alibaba-backed company’s merchant partners leverage MobiQuest’s data analytics and precision-marketing solution in acquiring, engaging and rewarding customers. 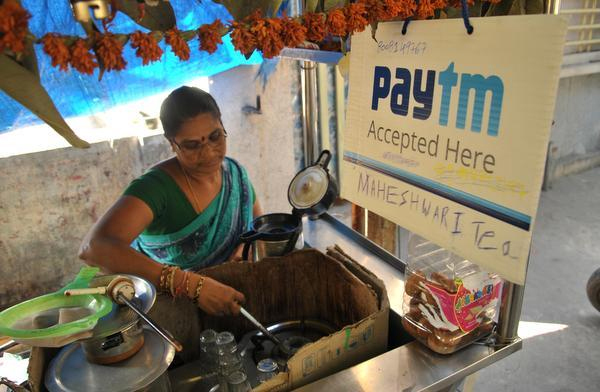 This is Paytm’s seventh investment in a start-up. Founder Vijay Shekhar Sharma had said in 2015 that the company will invest about $200 million in technology start-ups and pick up 20-24 per cent stake for about $10-15 million. Paytm has invested in start-ups such as SaaS-based logistics company LogiNext, auto-rickshaw aggregator Jugnoo and offline-to-online discovery platform Little. Founded by Vineet Narang in 2010, MobiQuest works with customers to seamlessly enable their business processes on mobile. Its m’loyal platform provides loyalty, analytics and campaign management solutions to over 200 brands and over 80 million consumers across sectors such as retail, food and beverage, fashion, malls, and hospitality. Merchants (on Paytm’s platform) would also be able to design customised multi-channel loyalty programmes which will enable them to retain and engage their consumer base, the companies said. Sudhanshu Gupta, Vice President, Paytm said: “Over the last year, we have enabled our partnered offline merchants with Paytm’s QR code-based payment solution. In the next phase, we aim to enable them with tools that will help them drive incremental sales and revenues.